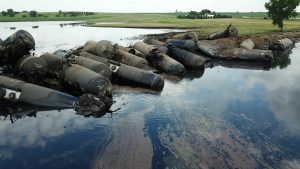 A June derailment that spilled crude oil in Iowa involved older tank cars retrofitted to newer safety standards, federal investigators found. You know what? 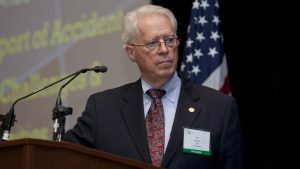 I kind of like National Transportation Safety Board member Earl F. Weener, who has been an NTSB member since 2010. 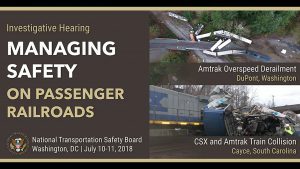 I thought I’d chance watching the video recording of NTSB’s July 10-11, 2018 Investigative Hearing: Managing Safety on Passenger Railroads. President Trump announced his intention to nominate Jennifer L. Homendy to be a Member of the National Transportation Safety Board. What a world. FRA is on Twitter and Facebook and YouTube. NTSB is on Twitter and YouTube, and might be on Facebook, but I don’t know since the NTSB website doesn’t say one way or another, and I’m not on Facebook or Twitter, and not, to my knowledge on YouTube, or if I am, it’s not my doing, I promise. 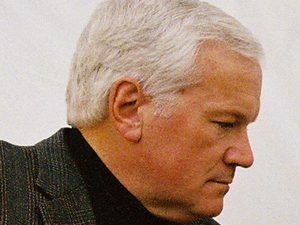 The battle between labor and the management over mandatory two-person crews is far from over and will heat up if a new Democratic-controlled Congress takes charge in 2019. Hoping for big Democratic wins in the U.S. House and Senate later this year, railroad labor quietly continues to set the stage to push for mandatory two-person train crew legislation. 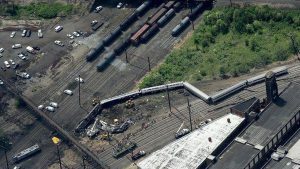 A judge in Philadelphia on Tuesday reinstated criminal charges against the engineer in the fatal 2015 derailment of Amtrak Northeast Regional train 188 that killed eight passengers and injured more than 150. 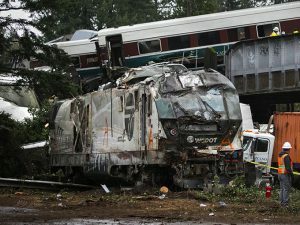 The engineer of Amtrak Cascades 501, which derailed on Dec. 18, 2017 in DuPont, Wash., has told the National Transportation Safety Board that he does not recall seeing an approach sign with a speed restriction placed two miles before the 30-mph curve upon which the derailment occurred. On Dec. 18, 2017, Amtrak 501, the first Cascades passenger train operating over the Point Defiance Bypass in Washington State, careened off the rails as it entered a 30-mph speed-restricted curve at 80 mph. 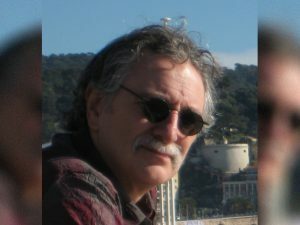 The investigations into the accident’s cause may take a year, even two.